Chinese symbols are showing up more and more often in Western tattoos. Symbolic art has a layered affect; the tattoo that you see and the personal meaning behind it. If this style of tattoo appeals to you, consider using a Chinese symbol; the history is rich with images to choose from. There are numerous animals through Chinese legends that are thought to posses specific traits. The Chinese Zodiac, for example, gives individual traits to animals that correspond with the year a person was born. A graphic tattooed image of one of these animals makes an excellent choice if you feel you embody your Zodiac's traits. In addition to animals, there are numerous other images taken from nature which translate to specific ideals. Getting a symbol as a tattoo takes a great deal of consideration. Not only do you need to consider what you want the image to be, you need to also consider the meaning behind it, whether or not the image will translate literally into the meaning, and how private to leave the tattoo. Symbolic tattoos have long been popular, beginning with old maritime tattoos, and Chinese style tattoos have added to the popularity with their rich imagery and symbolism. A Chinese character tattoo is a great choice if you want to have a specific word tattooed on your body, but want the meaning wrapped in a little mystery. Characters can also lend a romantic or exotic flavor to a tattoo, particularly when grouped into multiple lines or verses. There are many places where you can go and get kanji, zodiac symbols, animals and even full sleeves of both Chinese and Japanese artwork. There are, however, some precautions that should be taken when delving into this sort of cultural tattoo. Have a plan and several sketches or pictures from the Internet or from books as well as notes for your artist so that you get exactly what you want. Talk to people within the "tattoo scene" wherever you are -- you want your artist to be extremely well-versed in the arts of the Orient, not just in tattoo work. Talk to others who have had Chinese and/or Japanese ink done by the artist you are thinking of using. Make sure that everyone has been satisfied with the work as well as the aftercare. 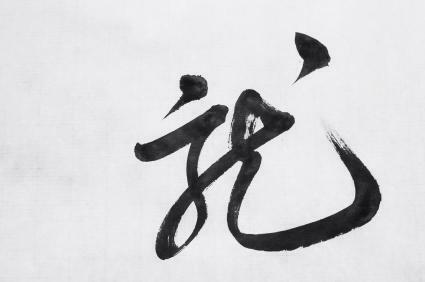 Go to an artist that "specializes" in Oriental artwork while also claiming to "specialize" in a great number of other genres -- those who do Japanese or Chinese tattooing will have gained a reputation for their work that precedes them and they will do little or no other work. 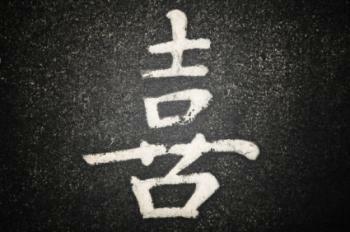 Go and get your Chinese symbol tattoo on a whim; these symbols, especially kanji, are easily confused and are often inked improperly. It is simply not worth the chance to go in and get a tattoo that you could end up having to laser or alter later on. Get a design from a wall or flash. Use what you can find in these places, reference it with info from tattoo artists and information you find in tattoo magazines, the Internet and other resources to ensure that what you are getting is exactly what you want. Placement of any tattoo is one of the most important decisions in body art. Make sure you'll be happy with the placement of your tattoo before getting inked. Most tattooists will place a temporary version of the real piece on your body if you request it. Feel free to wear this temporary tattoo in lieu of the real deal for a few days to ensure you'll be happy with the final result. Tattoos can and will change shape as the body moves and ages. Be certain your chosen spot will maintain its appeal for a perennial and beloved piece of art. 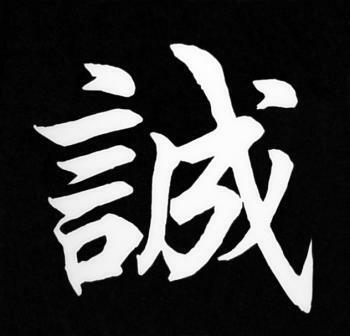 As with all cultural tattoos, make sure the Chinese word depicted in your art is accurate. 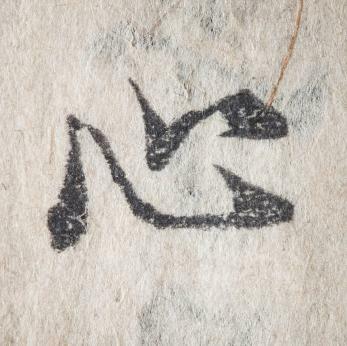 You can research Chinese symbols at the library or online to find accurate images for the language. If you choose to use a character, rather than an image for your symbolic tattoo, make sure to double check the translation before you get inked. 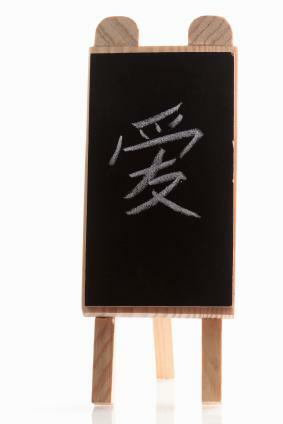 While many tattoo shops offer flash of Chinese characters with translation, they may be incorrect. If possible, have someone who speaks and writes the language double check the meaning for you. If you don't have a Chinese friend, try a Chinese-English dictionary or search the web for help. If you use a dictionary, either a book or on-line, remember the literal translations won't always have the connotation you want. It's worth paying a translation service to make sure the symbol means what you think it does. Unfortunately, translation web sites come and go, and you can't always be sure the operators are the experts they claim to be. Services are usually inexpensive, so use two or three sites just to make sure. Remember to double check the origin of the symbol you are using as well; while some Japanese characters are Chinese in origin, others can give your tat a completely different meaning. If you are using several words together, make sure their style and language match up before you get inked. Like any tattoo, make sure that a symbol, whether it is a character or an image, is one that means something to you. It can be an identification with the traits behind it, or a love of the image itself. No matter what the reason behind it, your new tattoo should be a reflection of you and your inner self.